At Mill Street Grill we try to balance good quality food with fast fun efficient service, all in the cozy confines of a turn of the century flourmill. Since opening in 1992, our goal has been to be the most consistent restaurant in the area. Our large number of repeat customers will attest to that fact. At the Mill, no one is a stranger. We treat you better than family, we feed you well, but we don’t ask you to do the dishes. We are well known for our Barbeque Baby Back Ribs, which are tender, fall off the bone, and glazed with a barbeque sauce that we make ourselves. 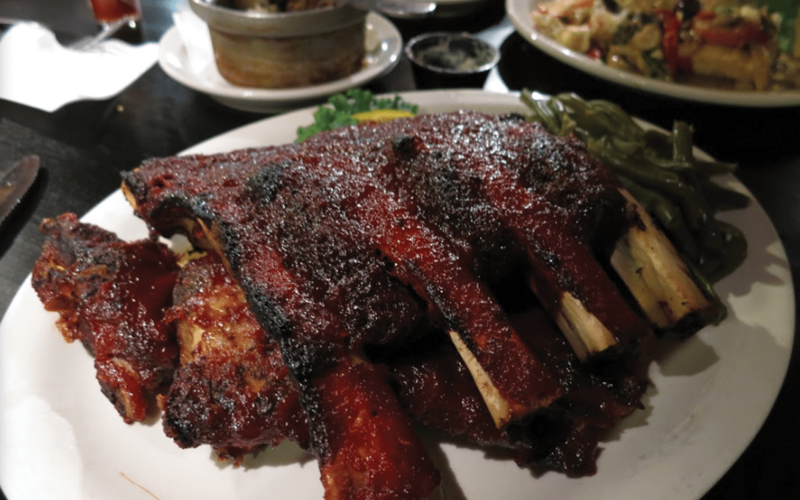 Ribs have been a mainstay of our menu. One customer quip, “If Adam had your ribs there would have been no Eve.” Pigs fear us, but Mill Street Grill is not just a rib joint. We have great steaks, which we cut in house and grilled to order. Fresh seafood arrives daily, which we grille, sauté, bake, or fry. Our assortment of pasta dishes is not only interesting, but also flavorful. We are not afraid to combine different styles and flavors. Our menu has a wide range of vegetarian pastas and sandwiches; we have a Black Bean Burger that’s nearly famous, if not kind of messy. We cater to Vegans if they are patient, and can adapt a lot of our dishes. Most things are made to order, so it is not that hard to change; just ask. If you have a special request, let us know. We’ll tailor your evening to suit you if it can be done, and is reasonable, we try to be accommodating. Don’t be shy…WE’RE NOT! Give us shot you won’t regret it. “There is nothing run of the mill about Mill Street Grill”.